It’s finally here! We’ve been waiting for the road-going version of the Indian FTR750 flat tracker for what seems like ages; first there was the beautiful race bike that has dominated American Flat Track races since it was introduced in 2016, then the FTR1200 concept got us very excited, and after a while we started to hear rumours about a production bike, backed up by spy shots. 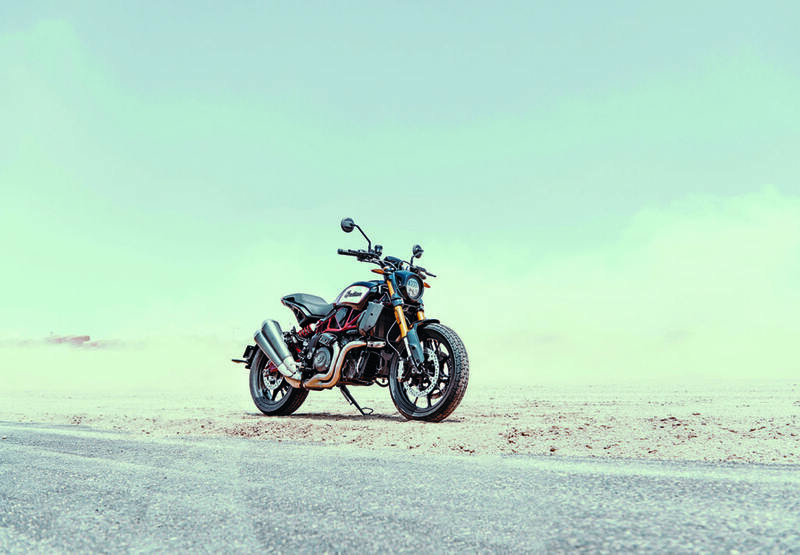 The long wait was finally over when America’s first motorcycle company made the welcome announcement of not just one but two variants of the FTR1200 at the Intermot motorcycle show in Cologne, Germany. And the bikes look stunning! This could be a very big step into the European motorcycling mainstream for the US manufacturer. 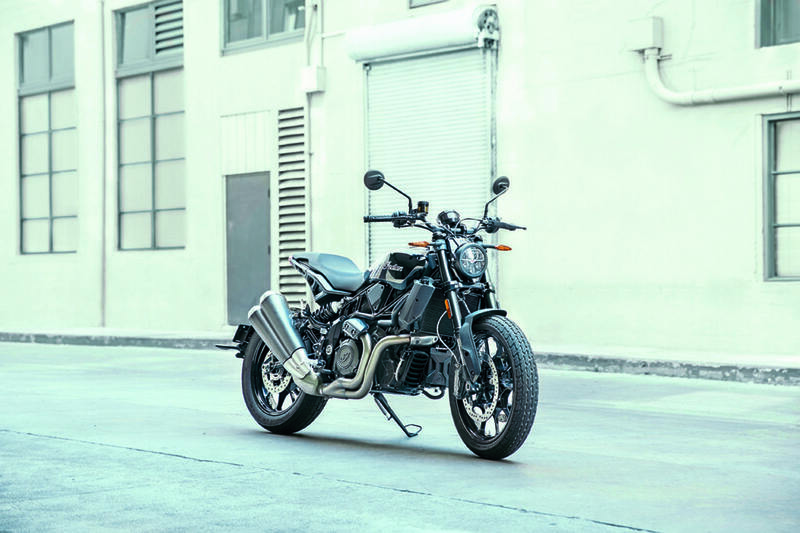 A new 1203cc V-twin engine with around 120bhp (90kW) and 85lb-ft (115Nm) of torque provides what Indian calls an ‘impressively flat torque curve for flexibility and strong acceleration’. The engine features a 12.5:1 compression ratio, high flow cylinder heads, and dual throttle bodies for optimal throttle response and power delivery. Additionally, the engine makes wide use of magnesium to lower weight and utilises a low-inertia crankshaft that allows the engine to rev quickly to its redline for thrilling acceleration. 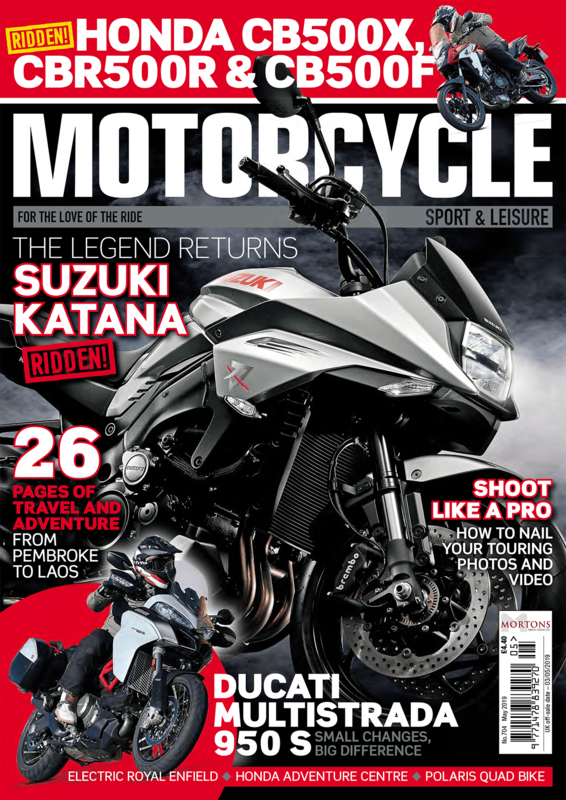 To keep up to date with and everything Motorcycle Sport and Leisure, like our Facebook page or subscribe to our monthly magazine online, and follow us on Instagram! Maybe it’s just us, but the silhouette of the bike with the red trellis frame does not look entirely unlike a more streamlined version of the Ducati Monster. The 13-litre fuel tank is under the seat for a lower centre of gravity and more centralised weight distribution. Similar to the FTR750 race bike, the airbox is positioned directly above the engine to optimise airflow and maximise power. Newly developed Dunlop street tyres with flat track-inspired tread, a chain final drive, and ProTaper flat tracker aluminium handlebars complete the race bike look. The FTR 1200 and FTR 1200 S models both feature full LED lighting, a fast-charge USB port to easily charge mobile devices, and cruise control for a comfortable ride. The difference between the two models is that the S is equipped with fully adjustable suspension, a customisable LCD touch screen, a bigger brain with lean-angle sensitive stability control, and ride modes (Sport, Standard, Rain). The FTR 1200 is available in black, while the FTR 1200 S comes in red/grey, metallic black and race-replica paint schemes. Both models will begin shipping to dealers during the first half of 2019. Prices start at £11,899 for the standard FTR1200, £12,999 for the S version, and £13,499 if you want to get the S in the race-replica colours.